Suspended Mass. 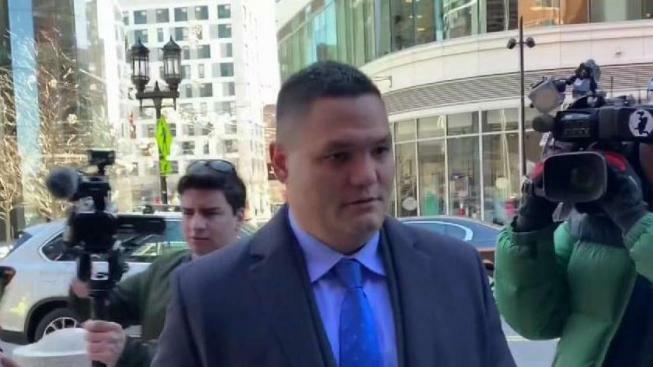 State Trooper Eric Chin, 46, of Hanover, was sentenced March 25, 2019, with the department's overtime abuse scandal. Chin was sentenced to one day in prison, deemed served, and one year of supervised release with three months to be served in home detention. Seven other troopers who have been charged and who have pleaded guilty in the scandal are awaiting sentencing.